The Swiss, a five-time champion in California, eased past Edmund 6-1 6-4 in just over an hour. 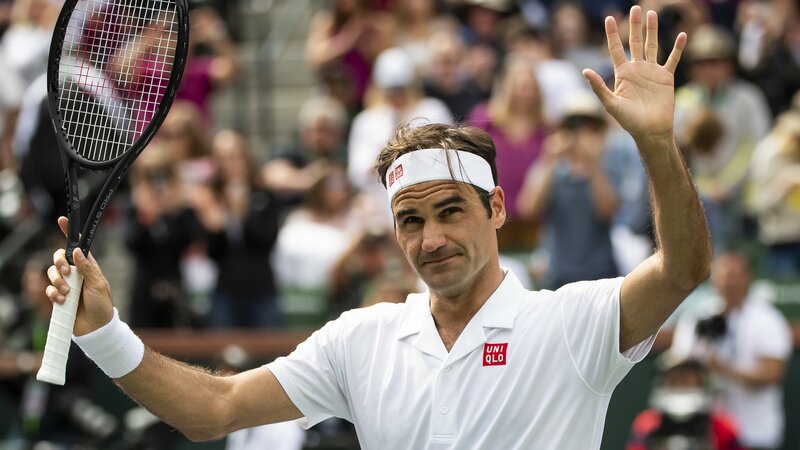 World number four Federer, who has yet to drop a set at the tournament, saved all seven break points that he faced and won 79% of first serve points. Second seed Rafael Nadal also reached the last eight with a straightforward 6-3 6-4 victory over Filip Krajinovic. The Spaniard will play Karen Khachanov next following the Russian’s 6-4 7-6 (7-1) win over John Isner. Edmund, who won the Indian Wells second-tier Challenger event last week, struggled on serve in the opening set. He was broken in the first game of the match and quickly went a double break down, before getting on the board at 5-1. The second set was more competitive, with Edmund creating three break opportunities as the Swiss served for the match, but he was unable to take them. Federer, a 20-time Grand Slam champion, won his 100th ATP title in Dubai at the start of March. He will face world number 67 Hubert Hurkacz next after the Pole beat 24th seed Denis Shapovalov 7-6 (7-3) 2-6 6-3. In the women’s draw, Canada’s Bianca Andreescu thrashed former world number one Garbine Muguruza 6-0 6-1 to reach the semi-finals. Edmund made the most inauspicious of starts: his first two service points were double faults, and he was ultimately beaten comfortably by Federer. The 20-time Grand Slam champion served typically smoothly, but Edmund did not let him run away with things in the second set, and saw four break-back points saved. The experience will certainly stand the British number one in good stead in any future meetings, and he has had a profitable stay in Indian Wells. He had not won a match all year because of knee problems when he arrived for the Challenger event, which precedes this Masters tournament. Having won that, and then made a run to the last 16 of the main event, Edmund has gained form and confidence, not to mention ranking points.